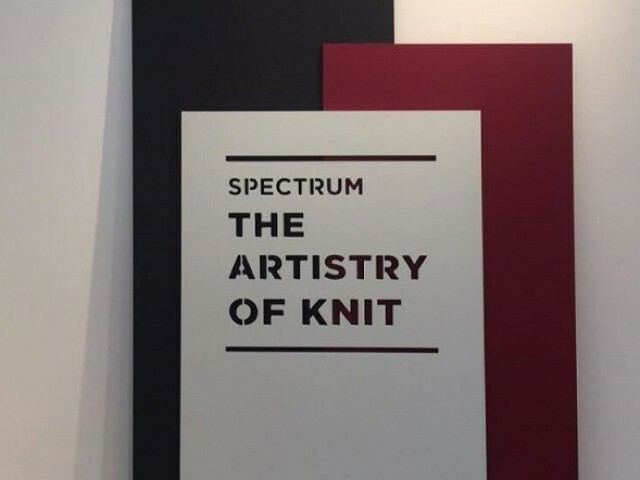 Acclaimed British Menswear designer, Lou Dalton completed her London Collections: Men show on Saturday which included our very special collaborative piece, the Lou Dalton x John Smedley Map sweater. Lou’s Spring / Summer 2017 collection took inspiration from her childhood memories of hiking with her brother across the Shropshire countryside and the freedom this gave her. This was expertly portrayed in her “new urban uniform” for SS17, consisting of walking inspired pieces including water proof outerwear cleverly accessorised with map holders and a drenched look to the models. 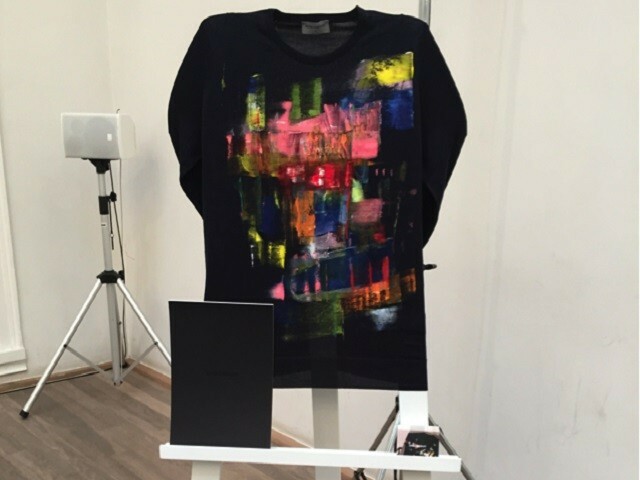 The collection ranged from black and navy right through to bright yellow and orange and had a strong nod to Lou’s passion for wearable fashion. 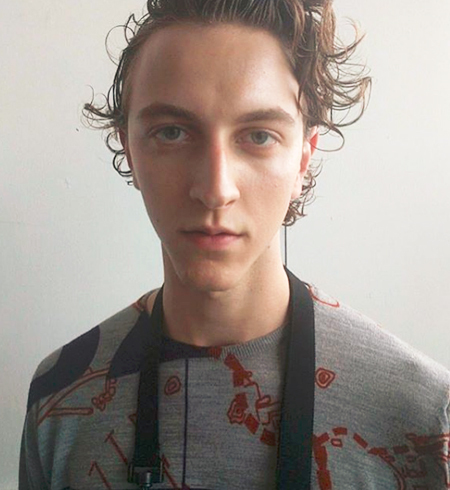 Fitting perfectly in the collection was our collaborative piece, the Lou Dalton x John Smedley Map sweater. 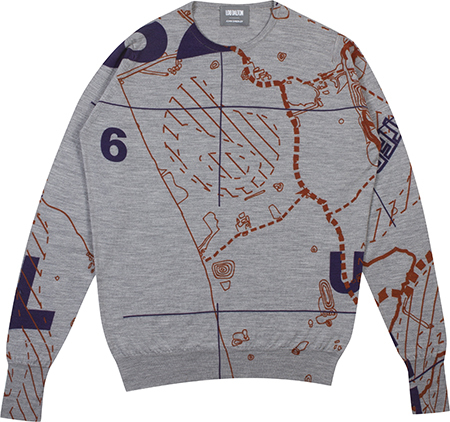 The unique design features an ordnance survey map of the Shropshire terrain so loved by Lou. Crafted from extra fine Merino wool, this sweater is lightweight and breathable, perfect for hiking or equally teaming it with your favourite jeans and a jacket! The Lou Dalton x John Smedley collaboration combines our inherent knowledge and knitwear expertise with Lou’s unique use of textures and design. This is a limited edition sweater so make sure you don’t miss out! 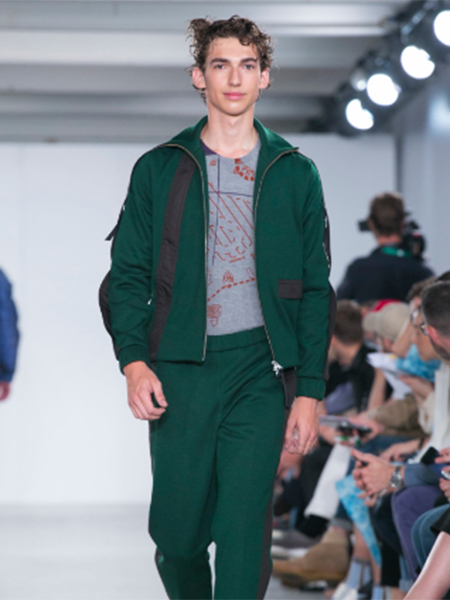 John Smedley at London Collections: Men. 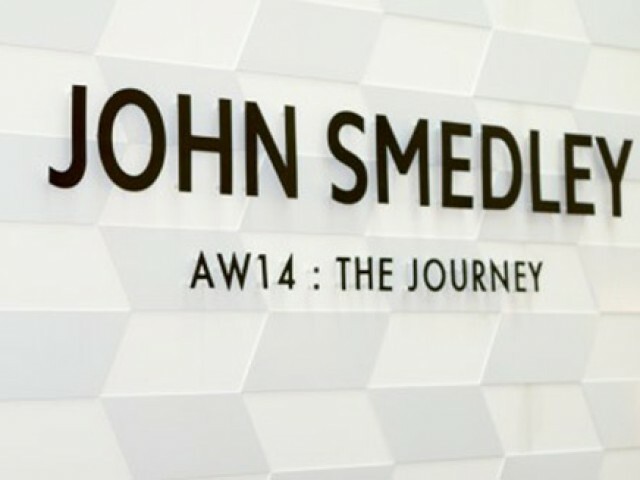 Yesterday was an exciting day for all as John Smedley showcased the Autumn/Winter 2014 collection at the London Collections: Mens.